The Nashville Christmas Parade brings national awareness to Children’s Hospital and was nominated for two Midsouth Regional Emmy® Awards for the 2017 production. Photo by Susan Urmy. 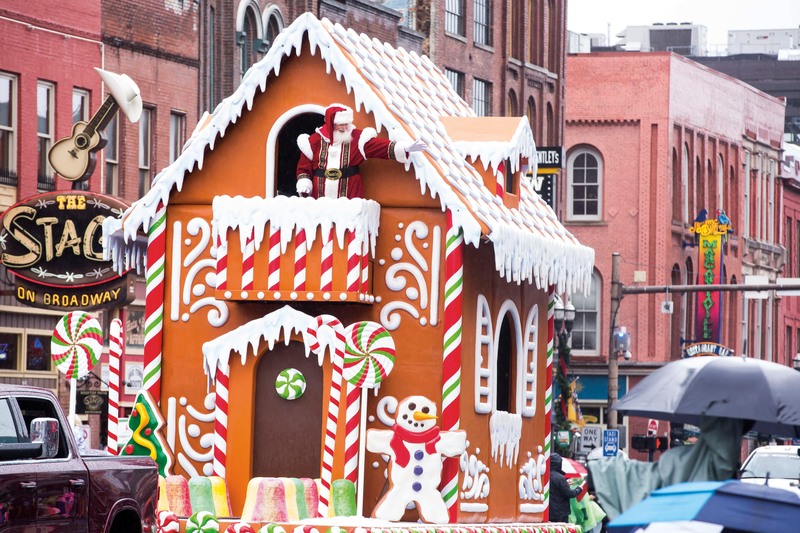 Nationally broadcast to millions of viewers, the Nashville Christmas Parade takes over Broadway each year with stars and singers performing and floats filling the streets with giant balloons towering above. The 2018 parade, held Dec. 1, once again benefited Monroe Carell Jr. Children’s Hospital at Vanderbilt. The Give to the Next Breath initiative, a philanthropic marketing effort to support the hospital’s Neonatal Intensive Care Unit, debuted during the parade’s live broadcast. As a pioneer and worldwide leader in newborn intensive care, Children’s Hospital has been a place of hope for families with premature babies or high-risk pregnancies for decades. Learn more at GiveToTheNextBreath.org.